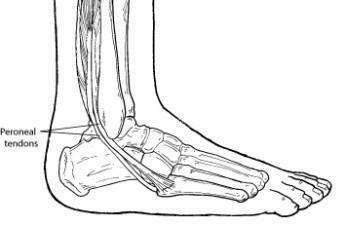 Peroneal tendon injuries may be acute(occurring suddenly) or chronic (developing over a period of time). They most commonly occur in individuals who participate in sports that involve repetitive ankle motion. In addition, people with higher arches are at risk for developing peroneal tendon injuries. Basic types of peroneal tendon injuries are tendonitis, tears, and subluxation.